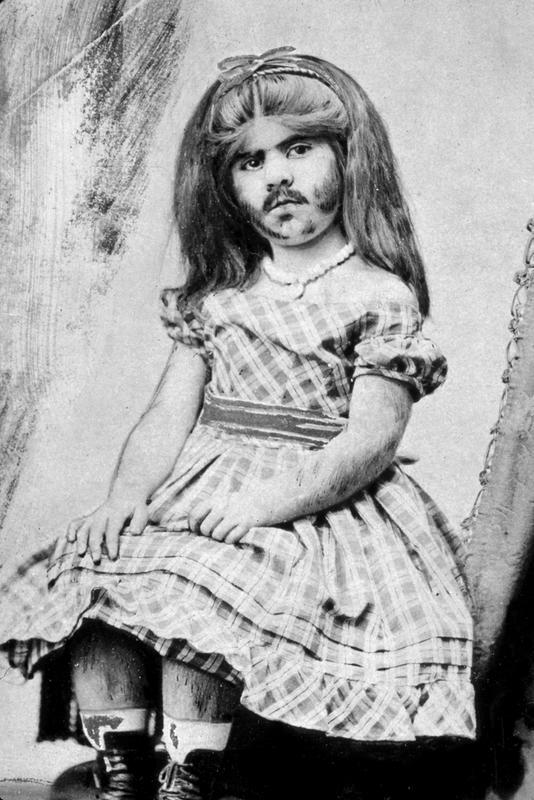 Annie Jones began her sideshow career at the age of one. P.T. Barnum had her in his American Museum show. Since she was so popular, Barnum paid her parents $150 per week to be under contract with his circus. Annie was kidnapped by a phrenologist who wanted her for his own show. When Annie was found, the phrenologist claimed she was his own child. In court, Annie ran to her mother and with that, the judge closed the case. No one is sure what condition caused Annie Jones to grow so much hair on her body, but she used the condition to earn a living. She was also musically talented and her show would include her performing music. Annie Jones died of tuberculosis in 1902. She was thirty-seven. 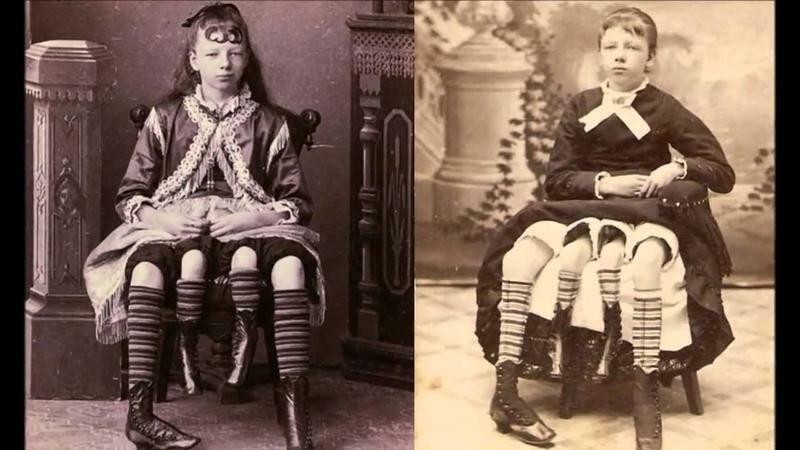 Myrtle Corbin entered the freak show circuit at the age of 13 and was billed as the “Four-Legged Girl from Texas.” Born with two separate pelvises situated side by side, Corbin’s four individual legs made her a very popular “oddity.” She had the ability to move her two inner legs, but they were too weak to sustain her weight or be used for walking. Corbin’s fame in the circus directly led to several phony four-legged acts popping up in other freak shows worldwide. After her successful circus career, Myrtle married James Clinton Bicknell at the age of 19 and went on to birth four daughters and a son. Corbin died six days short of her 60th birthday, in 1928. 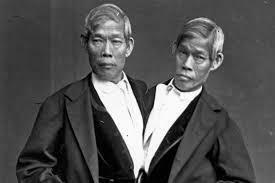 In the early 1800s, a Scottish businessman was visiting the Kingdom of Siam (Thailand) and saw the conjoined twins. He saw an opportunity and paid their parents to put the boys on exhibit in a traveling curiosity show. The boys toured for several years. When they turned twenty-one they left the show so they could live a normal life. They bought a plantation in North Carolina and married sisters. They fathered over twenty children! They passed away in 1874. Chang suffered a stroke and before a doctor could attempt a separation surgery, Eng died too. 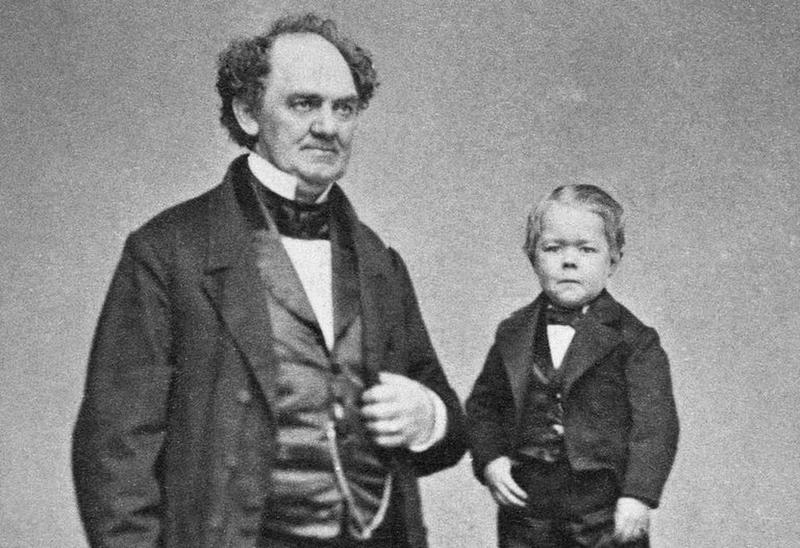 Charles Stratton stopped growing when he was six months old. He was otherwise quite healthy. His parents taught him how to sing and do impersonations. When P.T. 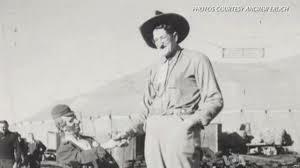 Barnum heard about this child he offered the parents three dollars a week to have Charles be in his freak show. He performed all over the world and was a particular favorite of Queen Victoria. He became fairly well off due to his celebrity. He married and settled in Massachusetts. He passed away when he was forty-five and over 10,000 people went to his funeral. There are conflicting reports about just how tall Jack Earle was. Some say 7’7” and others have it as tall as 8’6”. Either way, he was tall! He started out in films but a fall caused him serious injuries and he was unable to continue his movie career. When the Ringling Bros. freak show came to town, they offered him a contract. Though Earle had said that he never wanted to appear in a freak show, he now needed the money. He traveled with the show for fourteen years. 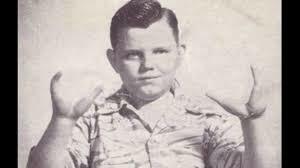 Grady Stiles was born with a condition that caused his hands and feet to become deformed and the digits to fuse together. His father also had the condition and was a sideshow performer. His father brought him into the business as a young child. Grady suffered from alcoholism. He had violent tendencies as well. He was convicted of third-degree murder after shooting his daughter’s fiancé. He received probation. He was abusive to his wife who allegedly planned to have him murdered. Someone shot Grady Stiles and he died in 1992.